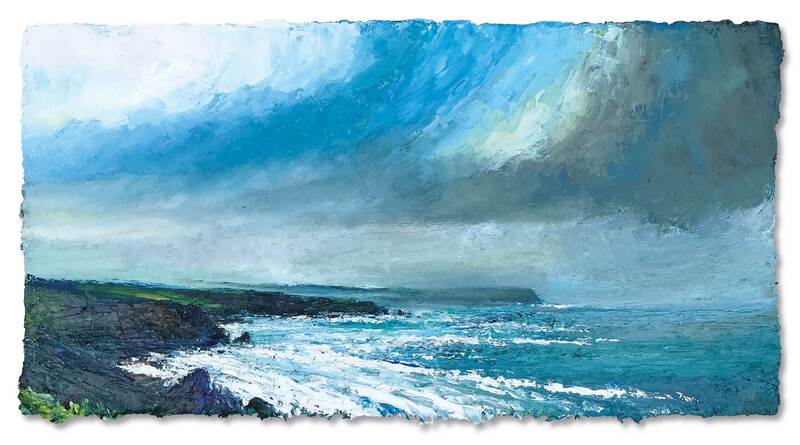 David Morgan loves to paint the dramatic light over the southwest coast and landscape. His impasto technique – exciting texture in oils – and bold colour suits his vigorous, intense way of working. David lives and works in Devon. 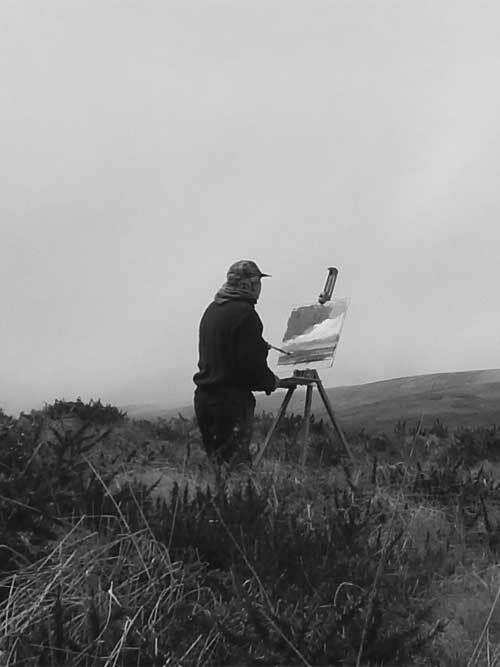 He paints outdoors in the plein air tradition, often returning to favourite locations where he seeks to capture the ever-changing rhythms of light and dark upon the land, sea and sky. He will brave the climate in all seasons. He has been known to leave his work unfinished on the landscape, hidden, in order return to it. He has only lost one painting doing this. He has exhibited in numerous one man shows and art fairs with White Space Art.